With a Cisco IP Phone 7965 or 7962 you have the ability to conference call with up to 16 people. Conference calls may be between Elizabethtown College extensions as well as outside numbers. Below are instructions for setting up a conference call and adding participants. 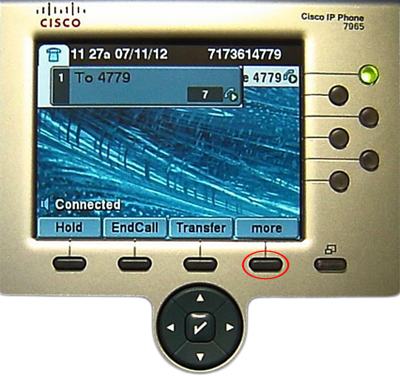 Step 1: With a call active, press the More softkey. 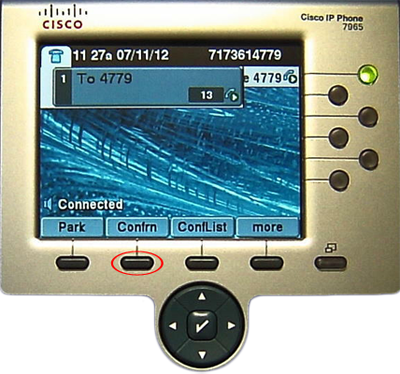 Step 2: Press the Confrn softkey. Step 3: Enter the an extension or other telephone number. 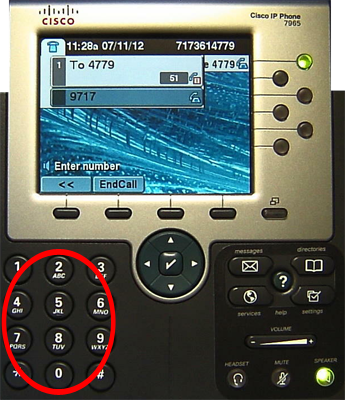 For more information on dialing outside numbers see Calling an Outside Number. 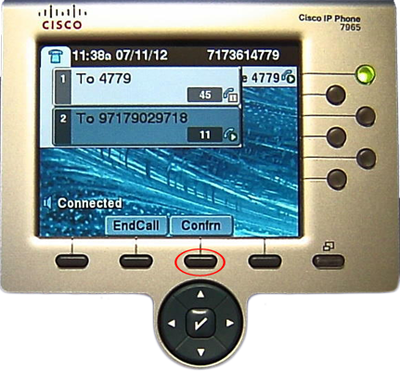 Step 4: Press the Confrn softkey to start the conference call. Step 5: Repeat steps 1-4 to add conference participants. Step 6: To see a list of active conference participants press the ConfList softkey.